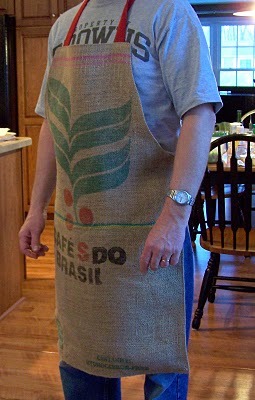 Have a friend or family member that loves coffee? 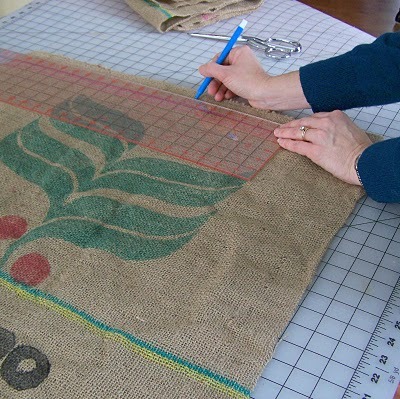 This Crafty Coffee Bag Apron by Jane Skoch would make the perfect gift. 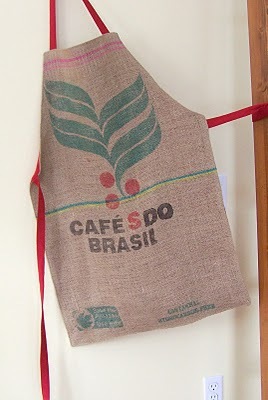 One coffee bag, washed, dried and ironed. 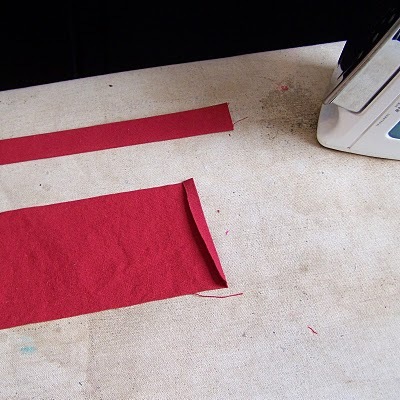 Begin by making three strips of fabric. Two of these will become the waist ties and the third will be the next strap. 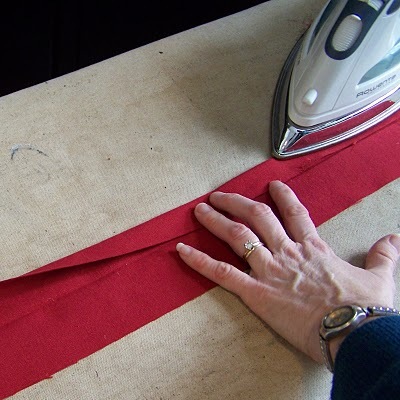 Lay out lining fabric with selvage edge folded together. 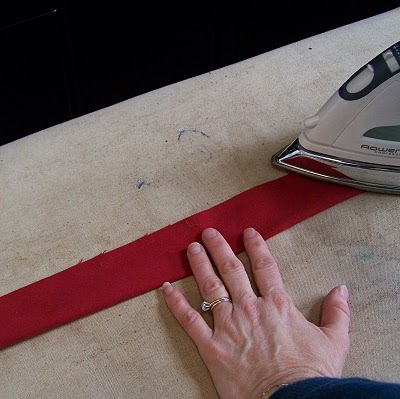 Fold strips in half with long edges together and press. 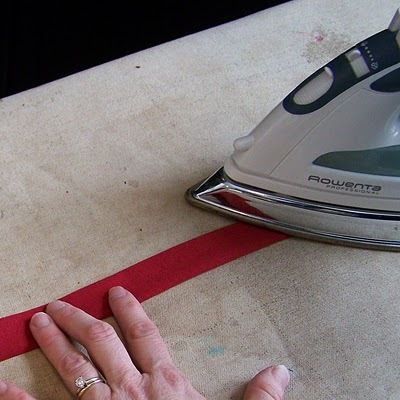 Open out strip and fold one long edge to meet the middle and press. Repeat with the other edge so that both raw edges are now folded and meeting at the middle. 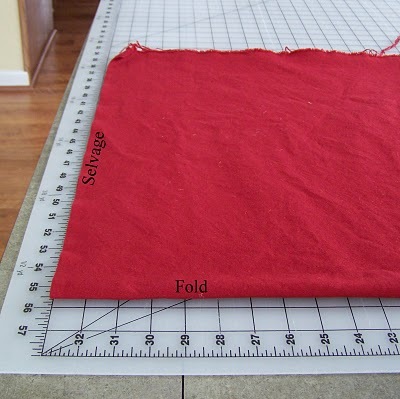 Fold in half again so raw edges are completely enclosed and press. 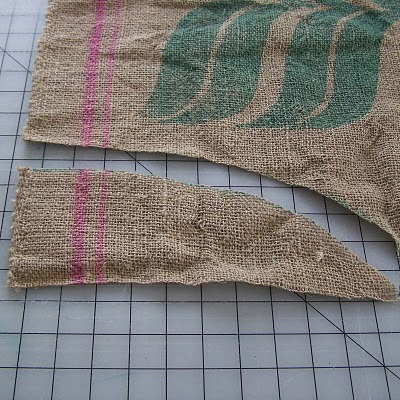 Top stitch close to folded edge. Mark the center point of the motif. Even out the sides and bottom of bag. In this example, there was 5.25" to the right of the motif. 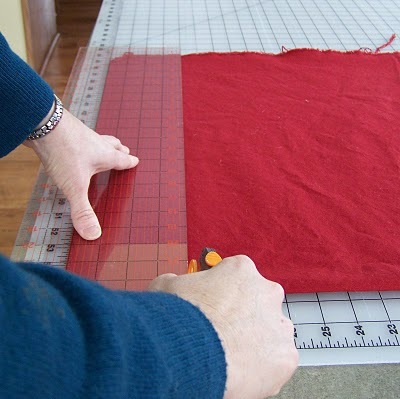 So I cut off the excess on the left side for an overall size of 23.5" x 35". Mark 5.5" to the left and right of the center point; mark 11.5" down on the sides. 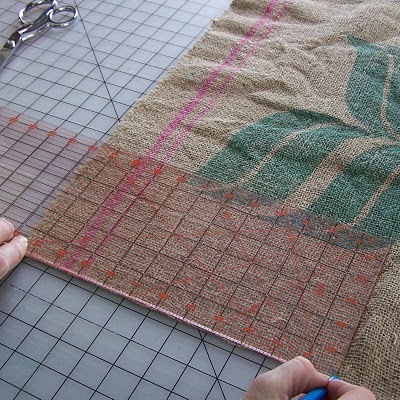 Use the cut out piece as a pattern to make the same cut on the other side. 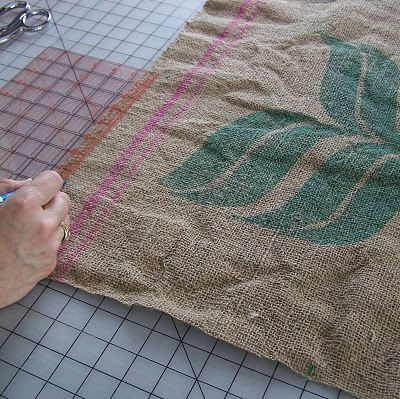 Place lining fabric underneath the bag and cut out. 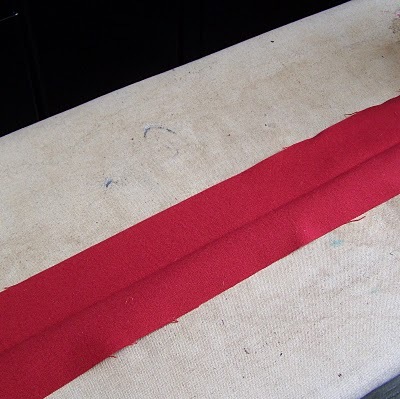 Pin ties to right side of lining, raw edges together. 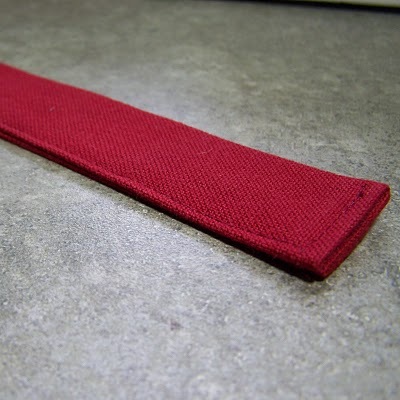 The shorter strip is the neck piece and the longer strips are the waist ties. 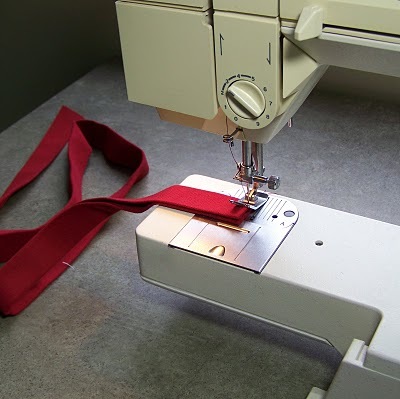 The ties should be placed one inch from the sides edges. 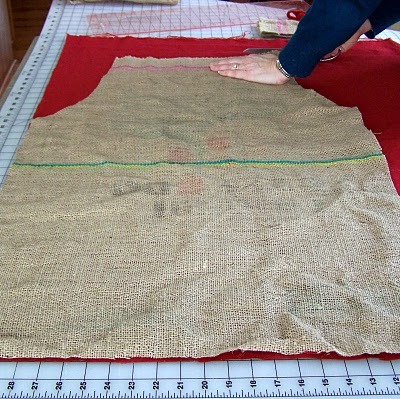 Place right sides together and pin so that the straps are encased on the inside. 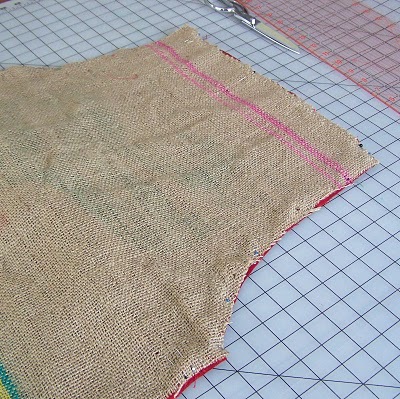 Sew or serge using a small stitch length and a 1/2" seam allowance around the perimeter of the apron. Leave a 6" opening at the bottom. 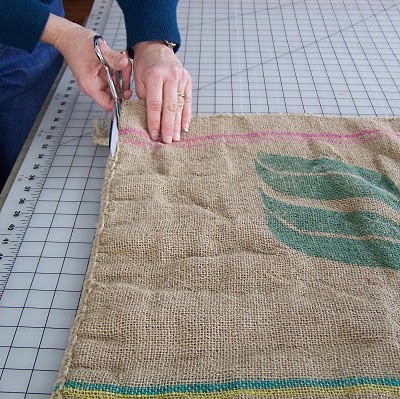 Trim curves and corners being careful not to trim too closely since the weave of the burlap is somewhat loose. 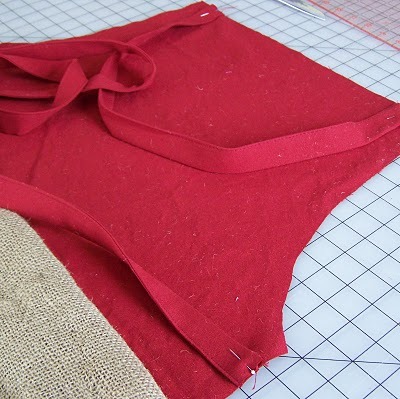 Turn apron inside out and press; press the seams of the opening to the inside and pin. 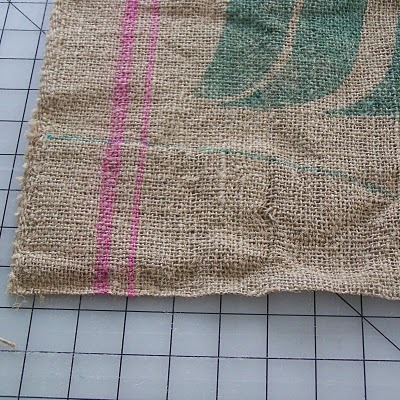 Top stitch the entire apron using a fairly small stitch to secure the coffee bag to the lining and reinforce the weave of the burlap. 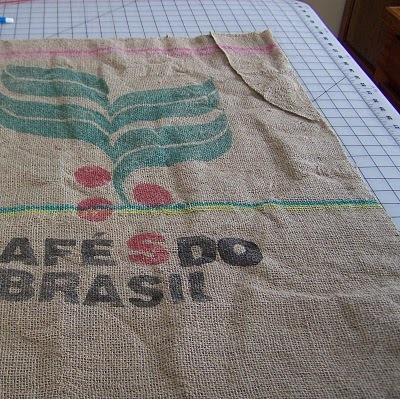 I googled 'burlap coffee bags' and came up with several sites. 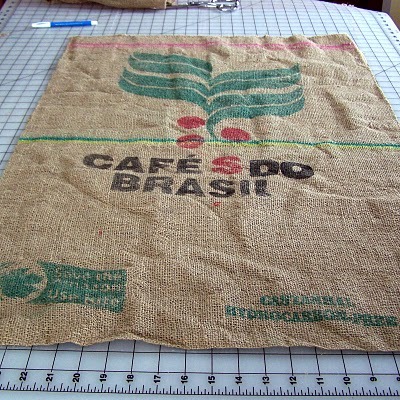 One I liked was www.coffeebags.com. Hope this helps! PLEASE ANSWER WHERE WE CAN GET THE BAGS!! 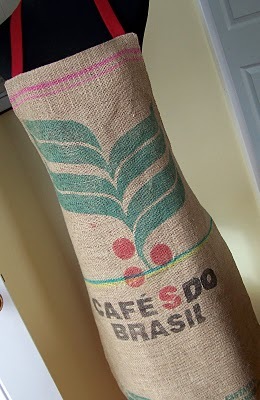 Where do I find a large coffee bag like the one shown? I did'nt think that coffee houses will give them away. Will they?